t [AI]ssistant scans through and pulls out important information like Title, Parties and key dates. If it looks good, the information is entered into ContractSafe. You can make adjustments or set it up the old-fashioned way if you want. A huge time saver. Let us know if you’d like to try it out for free with your account. 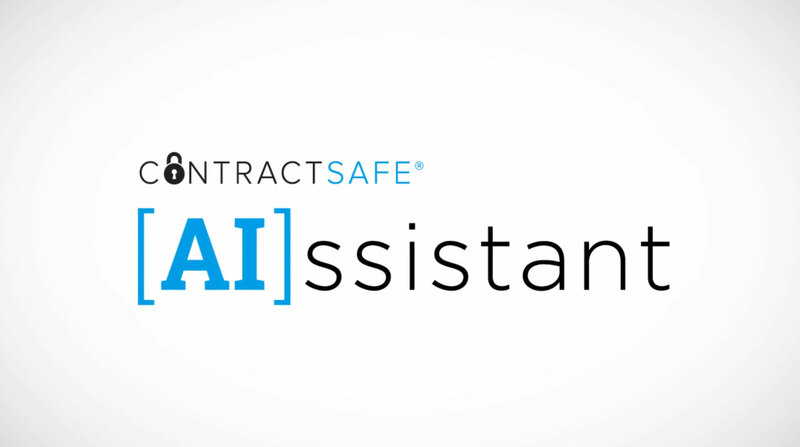 In connection with the launch of [AI]ssistant, we upgraded the quality of our Optical Character Recognition (OCR). We have licensed the top commercial OCR solution and included it for all users. The results are better, and we have added support for many different languages. ContractSafe OCR was really good before...now it’s great! Now you can type in anyone’s email in the search bar and pull up all the contracts with reminders for that person. This makes it super easy to switch out reminders if needed or just to make sure the right people are getting the right info. Huh? This is just a fancy way of saying that you can limit access to your ContractSafe account from certain locations if you want. You can “lock down” access to ContractSafe so that only users at approved corporate sites (or coming in through a corporate VPN) can access ContractSafe. In addition we have been making hundreds of small improvements this summer. Nothing major...just little things here and there that we thought could be better and easier to use. We want your ContractSafe experience to be nothing short of amazing! And we are in the final stages of our SOC2 Security Audit, to help you ensure our security is top notch.